Repair experts over at iFixit today pried open Apple’s new $169 Smart Keyboard case for the iPad Pro. But more important than that, the accessory is completely glued together, which makes servicing next to impossible. 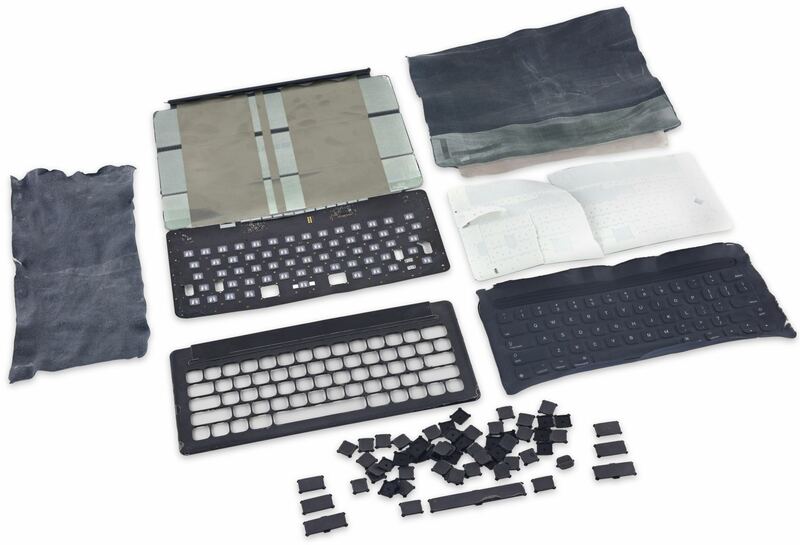 In fact, the Smart Keyboard files as one of the least repairable devices iFixit has ever analyzed so small wonder they gave it a repairability score of zero out of ten, ten being the easiest to repair. 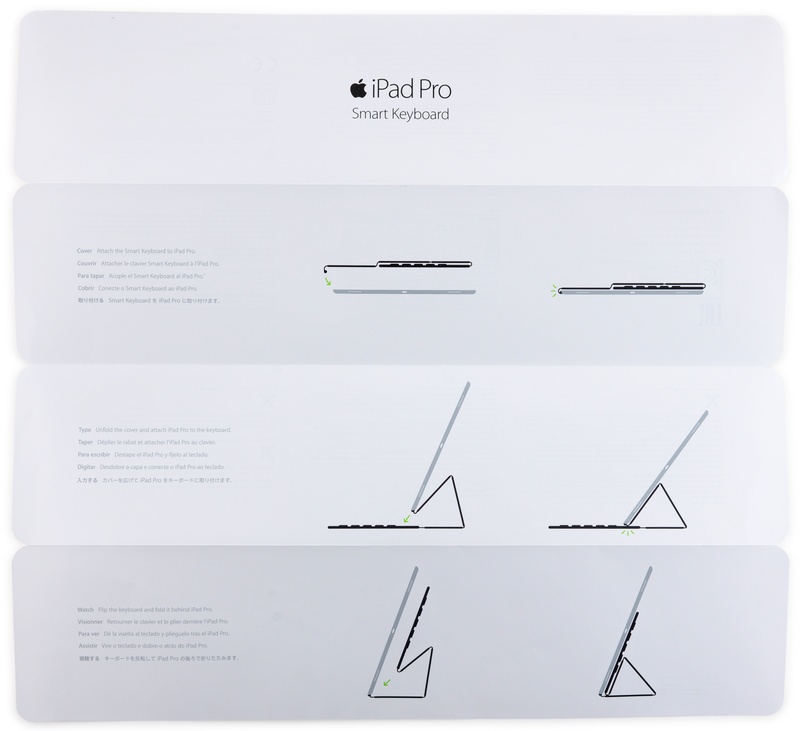 The Smart Keyboard (model number: A1636) features Apple’s new Smart Connector for power and data connection without manual Bluetooth pairing, has a total of 64 keys, each 4mm deep, and is water and stain-resistant. The QWERTY keyboard, currently available in US English only, sports dedicated Control (⌃), Option (⌥) and Command (⌘) keys and the keyboard swapping globe button. iFixit likes the placement of a stiffening weight in the spacebar, which allows the keyboard to register a push no matter where you tap on it. “No wobbly spacebar woes here,“ the site writes. Curiously, iFixit observes that the accessory has so many sections that Apple even included a handy guide on how to fold it correctly. Apple’s high-tech synthetic fabric (“We think its nylon, our teardown engineer notes that it feels like a windbreaker,” writes iFixit) holds things together while also providing protection against water and stains. 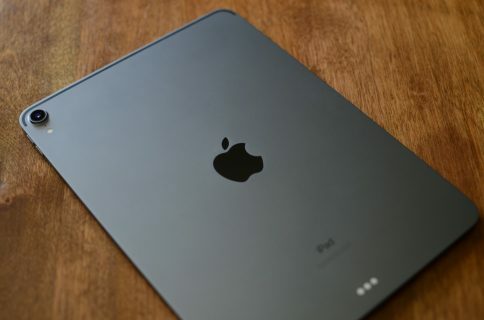 On the inside, these conductive fibers bring power to the keyboard and send its keystrokes back to the iPad Pro. 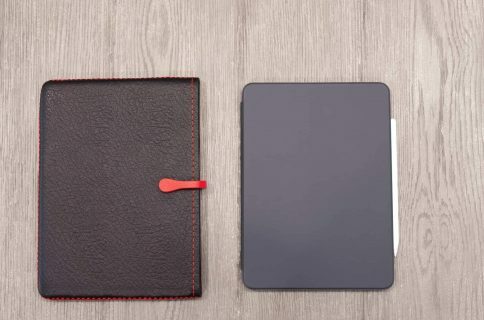 “We’re excited about this design feature, as these fabric strips should be more durable and fail-resistant than wires or traditional flex cables,” writes iFixit. Another noteworthy observation: the Smart Keyboard sports a huge printed circuit board which spans the keyboard and connects to a total of 64 dome switches, which are the same switches as those inside the 2015 MacBook. There is not much else inside the Smart Keyboard. “No LEDs, or batteries or fancy fans needed here,“ according to the site. iFixit has identified the STM32F103VB chipset on the printed circuit board, clocked at 72 MHz. This is interesting as Apple has used the same ST Microelectronics module inside its Magic accessories, making this ARM-based 32-bit Cortex-M3 chipset Apple’s latest go-to micro controller for peripheral input devices. 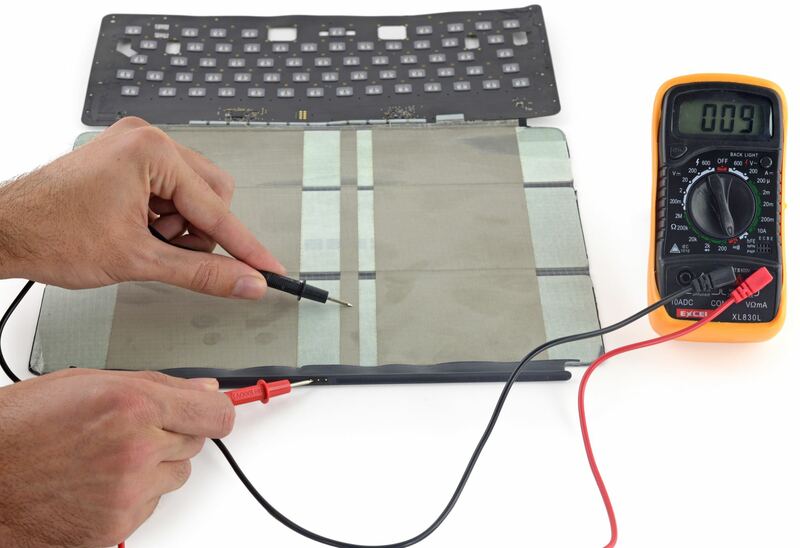 “While durable, the keyboard is impossible to open without damaging, meaning no internal components can be replaced without destroying the device,” iFixit concludes.